The “sales funnel” frames the basic structure of marketing and sales activities, providing a practical template for planning. 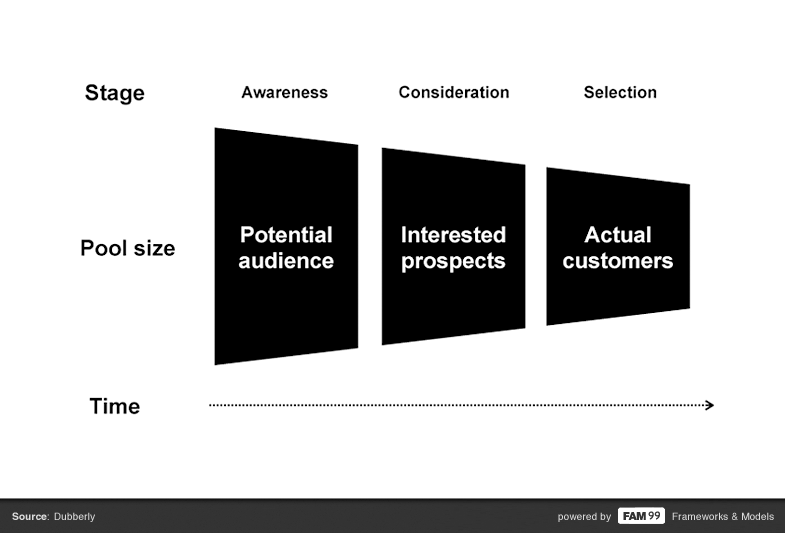 The sales funnel describes the series of steps leading to a sale (or purchase), including awareness, consideration, and selection. The goal is to push customers to buy—advertising to increase familiarity, informing to build knowledge, offering incentives to close a deal.